It is the power by virtue of which each chapter exists, for it both issues charters constituting them and brings to any chapter the collective strength of the whole. It is the means by which services, assistance, and encouragement are rendered to chapters and individuals through loans, grants, and scholarships, Headquarter administration, Field Representative and Governor visitation, Fraternity publications and awards, and alumni assistance. It is the stimulus to the Fraternity’s growth via its vigorous expansion program. It is the guardian and perpetuator of more than 185 years of ritual and tradition. It is the superstructure of continuity that allows a brother in one chapter to welcome – and be welcomed by – an initiate of another chapter as kindred, with similar ideals, background, and experience. It provides for the continuation of fraternal friendships, benefits, and values throughout life, through its active alumni. It is the forum by which any chapter or individual may voice a concern, idea, or suggestion for the benefit of the whole. 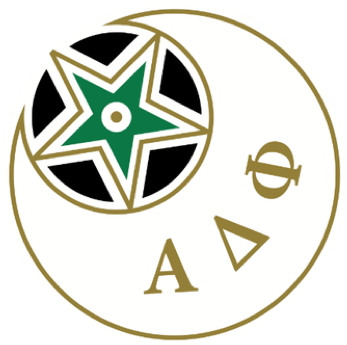 It is the rallying point of the experience and expertise of thousands of Alpha Delts, thirty plus chapters, and over 185 years of distinguished progress.